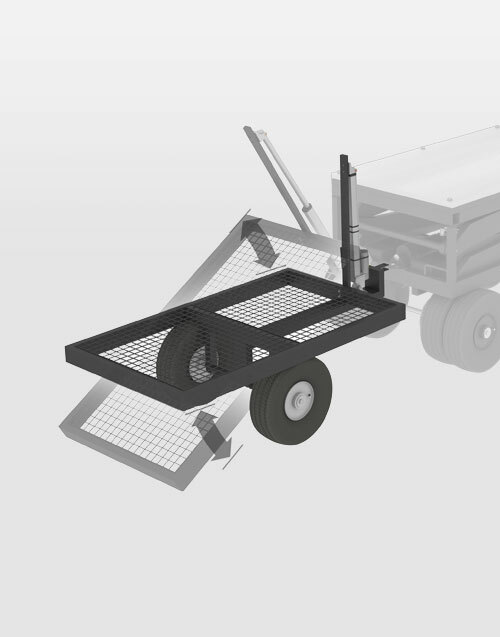 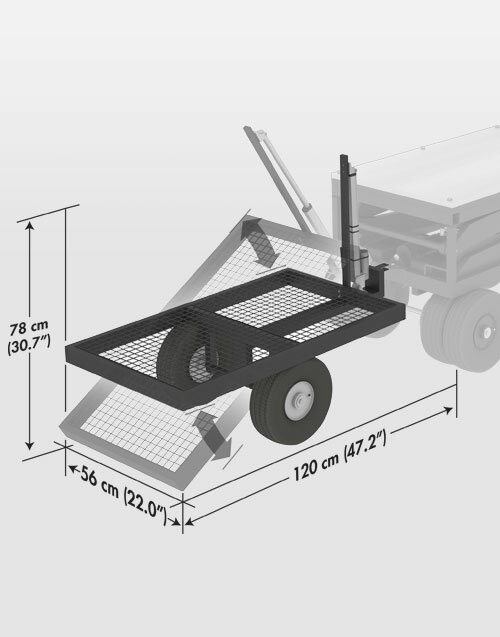 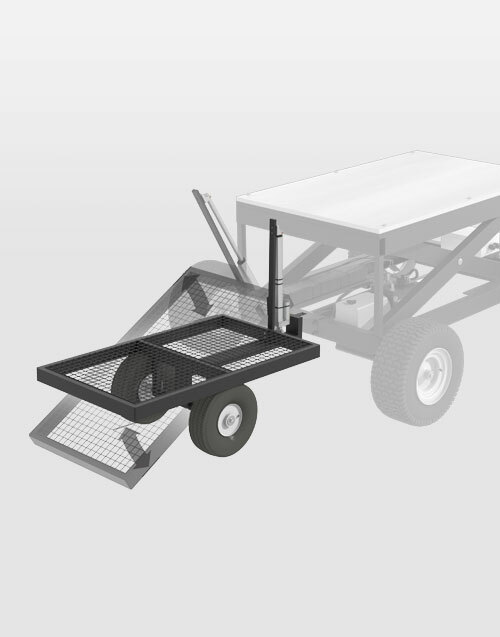 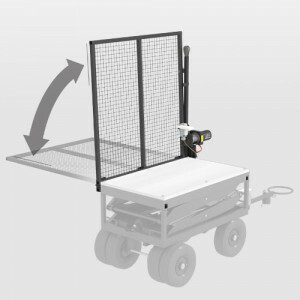 EZLIFT™ MINI ROV TRALER is an optional accessory for all EZLIFT™ TACTICAL CARTS allowing a small robot to be delivered behind the host cart thus extending the trailered robot’s full operational battery life to the task as opposed to expending its battery life on travel. 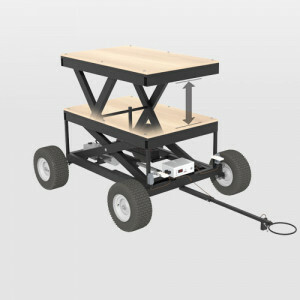 A wide variety of tactical operations including delivery, search, rescue and recovery are supported by EZLIFT™ MINI ROVER TRAILER. 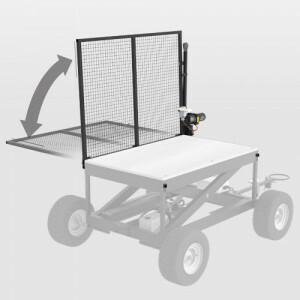 A small robot can be delivered on the trailer towed by the host cart and disembark to perform tasks with a full battery charge. 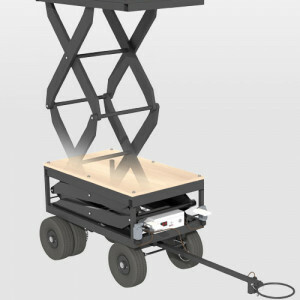 One example is tactically delivering a fully charged investigative robot over a long distance.